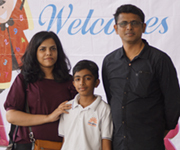 We welcome you to the Birla Open Minds International School, Warangal (BOMIS), Our community of dedicated professionals and high achieving students. 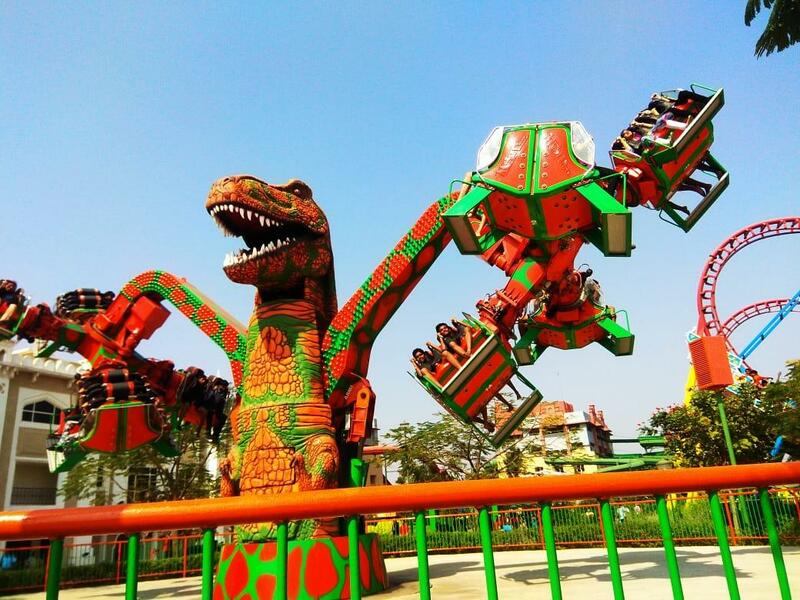 BOMIS will challenge and inspire your children to love learning and live a successful life. We offer an education that focuses on innovation, creativity and critical thinking skills. This approach to education will best prepare your child for the challenges and opportunities for a bright future. Following the Above Motto The school offers child-centric and proven conceptual programmes that kindle a child’s curiosity and prepares him or her to face life with equanimity and elan. Children are enrolled into different programmes according to their age : Pre - Nursery, Nursery, Kindergarten 1, Kindergarten 2 The thematic curriculum for preschool draws on neuroscientific research on how the brain learns naturally and what learning experiences are relevant at a particular age and stage in life. The Centre of academic, based at Millennium Point, supports your academic goals and provides advice and training to students. Our school has an air conditioned transports. With separate seats. Every student has their individual seat with all safety maintenance. We have specialized sports for students which is useful to student’s physical and mental fitness. It will motivate to students participate in local and national level. We have smart classrooms facility that makes learning and studying more creative, dynamic and fun for BOMISites. Our campus has cctv surveillance. To know each and every thing what is happening in classrooms and campus surrounding .we can easily identify the problem. Music and Dance Room is equipped with a wide range of instruments where students learn both Classical and Western forms. We have very species rooms for students . 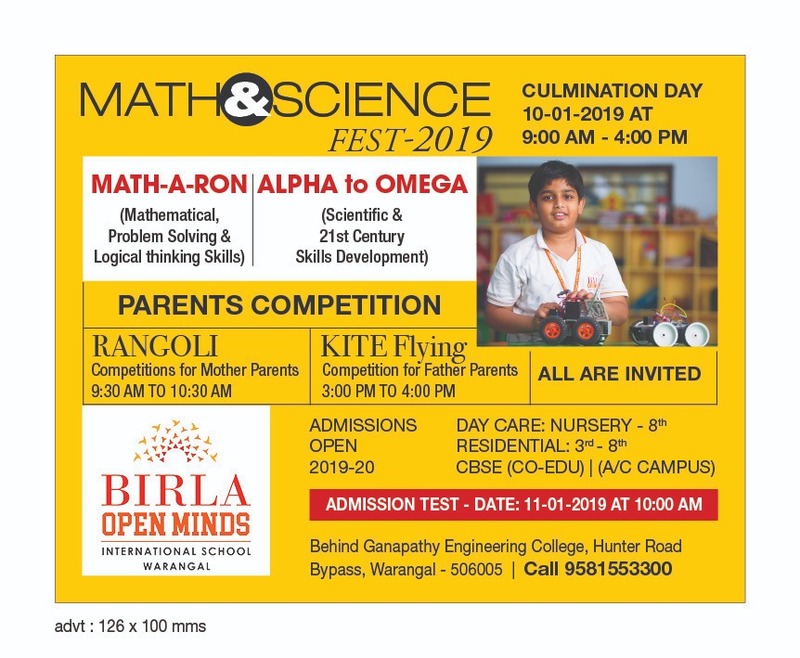 We had conducted Math- A-Ron and Science Alpha to Omega, Rangoli and Kite festival. 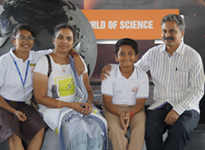 All the parents and students from other schools were visited. Birla Open Minds International School is a wonderful school, providing a safe and nurturing environment for its students to strive for excellence not just academically but in all aspects of life. Our son is very proud of his school and loves his teachers. The teachers at Birla Open Minds International School are dedicated and determined to assist and encourage their students to develop a deep love for learning and knowledge, be in the classroom or out on the playing field. 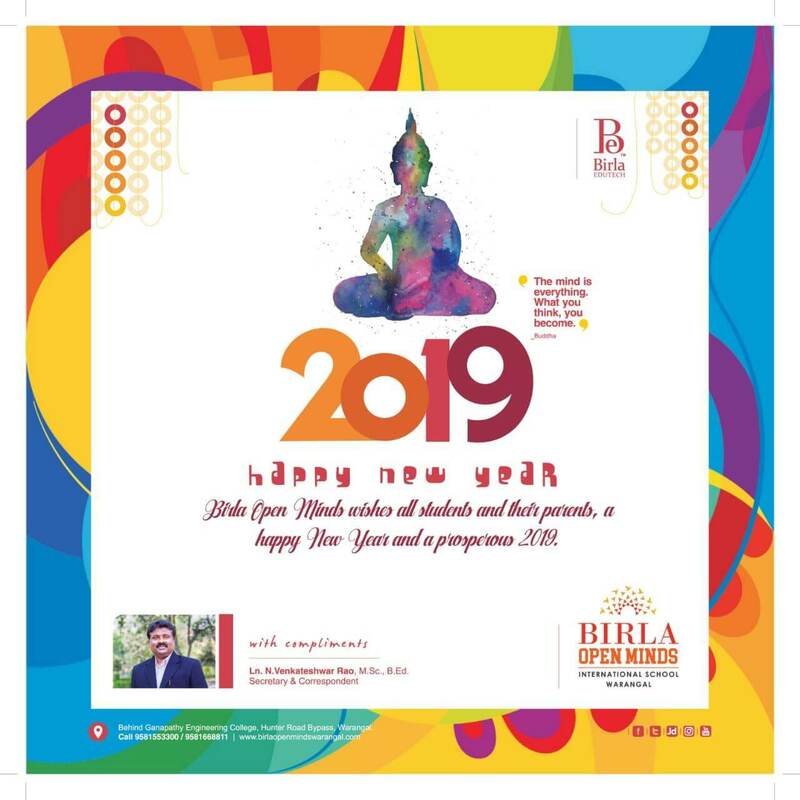 We are very happy to be a part of the Birla Open Minds International School Community. The good thing about Birla Open Minds International School is the overall development of the child where the focus is not just in the academics, but also to improve their skills. I have seen an overall development in my kids. 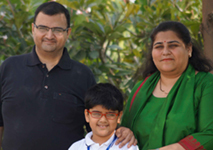 Birla Open Minds International School is a great school, the key differentiation that sets the school apart from other schools is -- compassion, infrastructure and transparency. It’s really amazing to see my child, face the crowd with a lot of confidence. 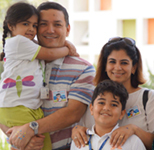 There are three reasons why we love Birla Open Minds International School. Firstly, the infrastructure is awesome, secondly the staff always has a smile on their face and it makes my kids feel at ease and lastly the curriculum is child-centric.